Kathmandu (Pahichan) October 11 – Greece’s parliament has approved a new law that will make it easier for people to change their legal gender. LGBT activists said the new law was an improvement, but criticised it for not doing enough to establish “full self-determination” for transgender people. The Greek Orthodox Church said the move was “immoral”. The bill, which passed by 171 votes in Greece’s 300-seat parliament, removes medical requirements from the process of changing legal gender. This was heavily criticised by human rights groups and LGBT activists. ILGA-Europe, an LGBT rights advocacy group, described it as an “outdated and oppressive practice that violates individuals’ bodily integrity”. 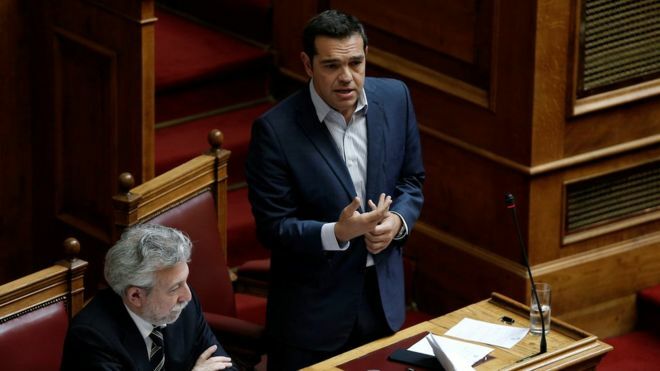 During a debate on Monday, Prime Minister Alexis Tsipras urged lawmakers to support the change. “We are on the side of those who have no voice, or whose voice is stifled,” he said. The Greek Orthodox Church also opposed the bill and called for it to be withdrawn. In a statement (in Greek) they said it “defies customs and common sense, and, above all, destroys people”.